Have you ever wondered how obstructive sleep apnea symptoms are different from other types of sleep apnea? There are certain symptoms that all types have, and there others that are distinct in the certain type. Did you know that obstructive sleep apnea (OSA) is just one type of sleep apnea? There are actually 3 types of the sleeping disorder. Each of which have distinctive characteristics that set each type apart. Do you suspect you have mild sleep apnea? If this is the case, then there are simple ways to treat the sleeping disorder. Do not think that due to the mildness of your case, you can take the disorder for granted. Preventing intensification should be your main concern. Severe sleep apnea is behind the thousands upon thousands of cardiovascular deaths every year in the US alone. Aside from these health risks, it is responsible for thousands of casualties annually, due to accidents. This is why treating severe cases of this condition is vital. Have you ever heard of complex sleep apnea (CompSA)? 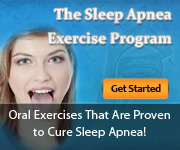 Most people have never heard of this type of sleep apnea. It is the rarest form of the sleeping condition, which constitutes 0.4% of the condition’s cases. It is the most complicated to treat and the most deadly. Sleep Apnea Definition – What Goes On While You Sleep? The Growing Sleep Apnea Statistics: Is There No End? If you think sleep apnea is nothing to worry about, you might want to check the sleep apnea statistics. More and more people are suffering from this sleeping disorder, and the numbers are growing at an alarming rate. What Is The Difference Between Insomnia And Sleep Apnea?